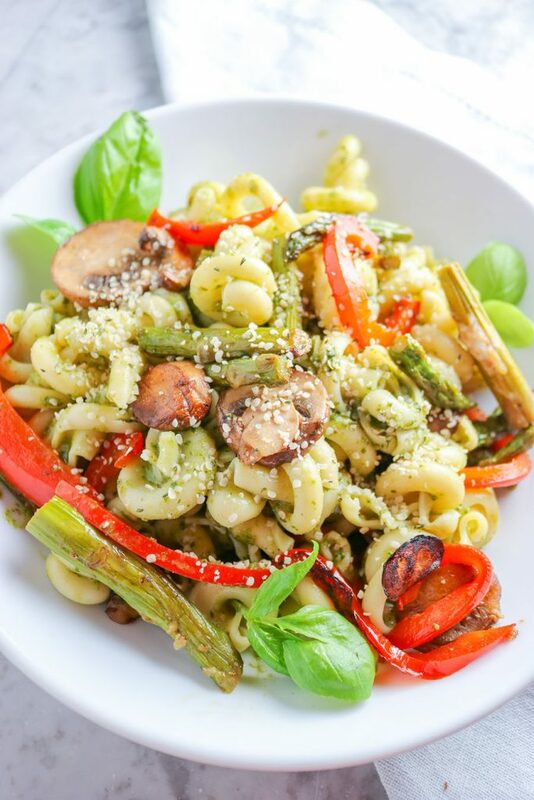 This vegan Red Pepper, Mushroom and Asparagus Pesto Pasta is easy, fresh, and super flavorful. Delicious with any type of pasta – white, whole grain, rice, chickpea, cauliflower – you name it! All you need is a handful of fresh ingredients. 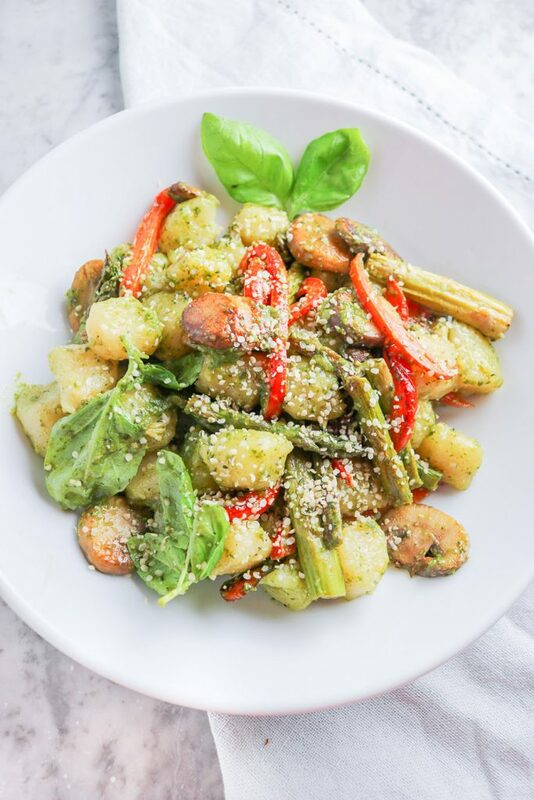 I chose to use red peppers, mushrooms and asparagus – because these are what I had in my fridge! Don’t have or don’t like red peppers, mushrooms or asparagus? Sub out these veggies for another of your choice! Enjoy your pesto pasta as an easy weeknight meal with pre-made pesto, or wow your family with a homemade batch! 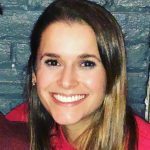 Looking for some additional protein? This pesto pasta tastes great with white beans! Or if you are not vegan, grilled chicken or chicken sausage. 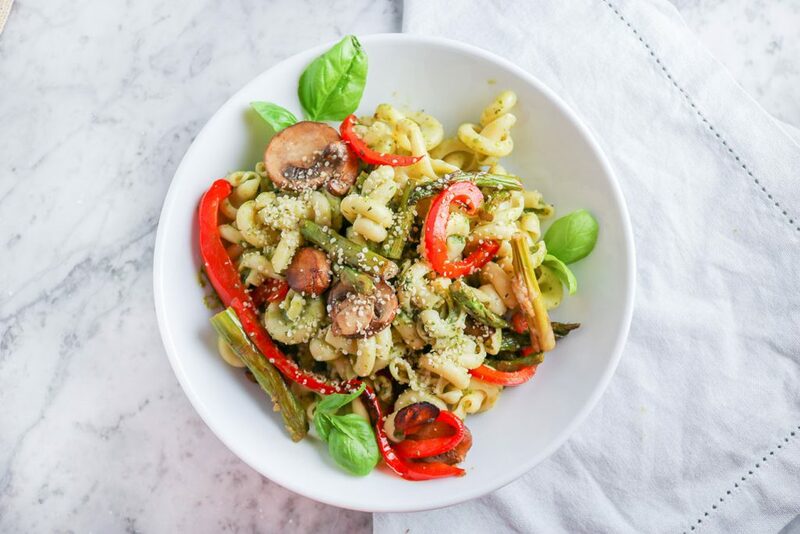 Deliciously simple, this fresh, vegan pesto pasta is loaded with veggies and full of flavor. Not vegan? Add some extra protein with a few slices of chicken! While pasta is being prepared, heat olive oil in a large saucepan until shimmering. Add garlic to pan - cook for 1 minute, stirring occasionally. Add mushrooms - cook for 3-4 minutes, or until mushrooms begin to brown and shrink. Add asparagus spears - cook for 3-4 minutes, stirring occasionally. Add red pepper - cook for 3-4 minutes, or until vegetables have reached desired tenderness. Remove from heat. 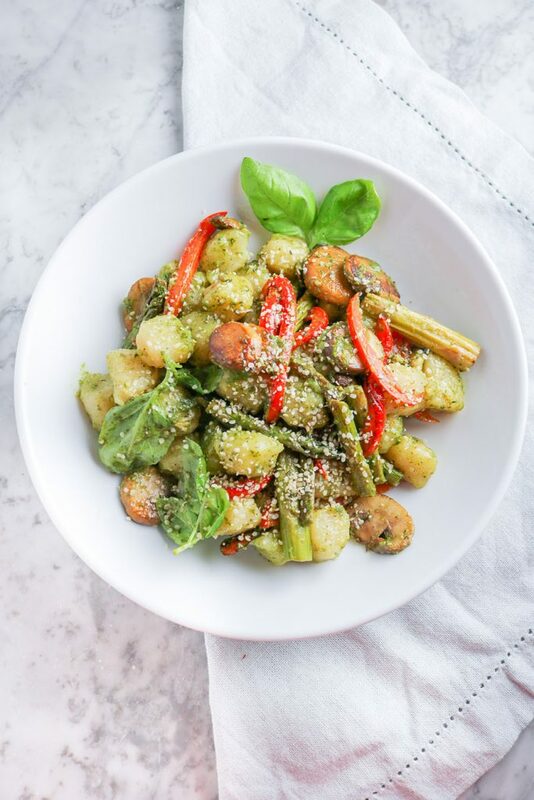 Once pasta has been cooked and strained, toss with pesto and vegetables - serve hot, sprinkled with hemp hearts! Storage: For best results, refrigerate vegetables, pesto and pasta separately in an airtight container for 2-3 days.